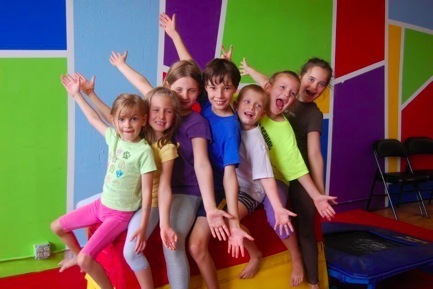 Looking for a place to have a fun and memorable birthday celebration for your child? 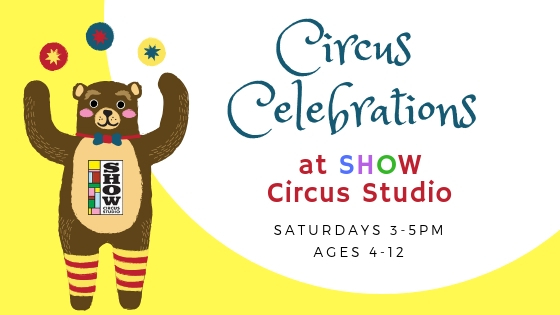 SHOW Circus Studio offers 2-hour weekend birthday party programs for children ages 4 - 12 on Saturdays from 3 - 5 pm. 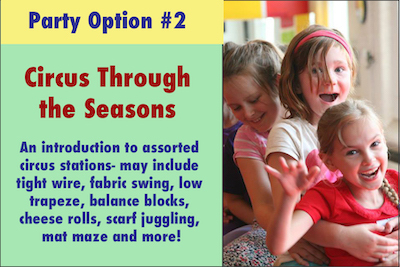 Children begin with a group circus craft, gathering games and juggling exploration. 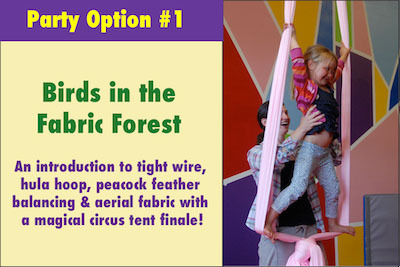 The next hour features a choice of Birds in the Fabric Forest or Circus Through the Seasons, a guided sampler of circus. Parents are responsible for the last half hour in which they may take photos and serve refreshments. We also offer an assortment of add-on guest party favors: soft clown noses, peacock feathers, and circus coloring pages! Have a Birthday Party Specific Question? For all information regarding policy, studio rules, refunds, cancellations, and student expectations please refer to our Studio Policy and Procedures.